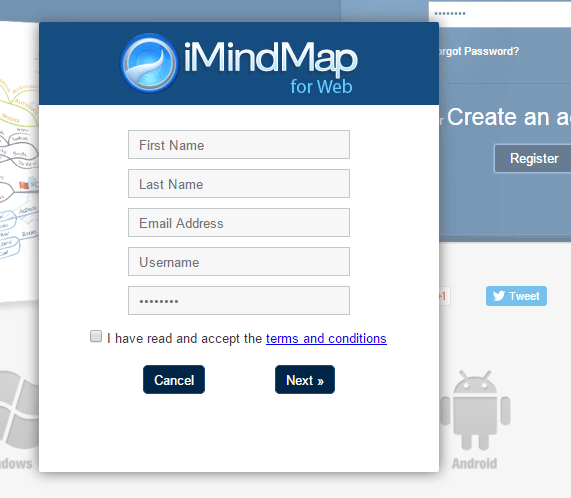 To create an iMindMap user account, go to app.imindmap.com in your web browser. Select the ‘Register’ option to create a new account. You will be presented with a pop up which you can use to sign up. When you have added your details, click ‘Next’. 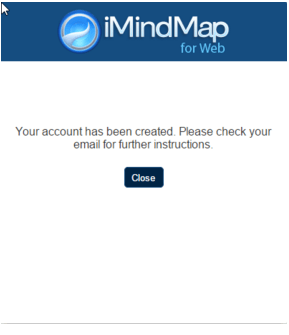 You will then receive a Welcome email from iMindMap. What is my iMindMap username and password? 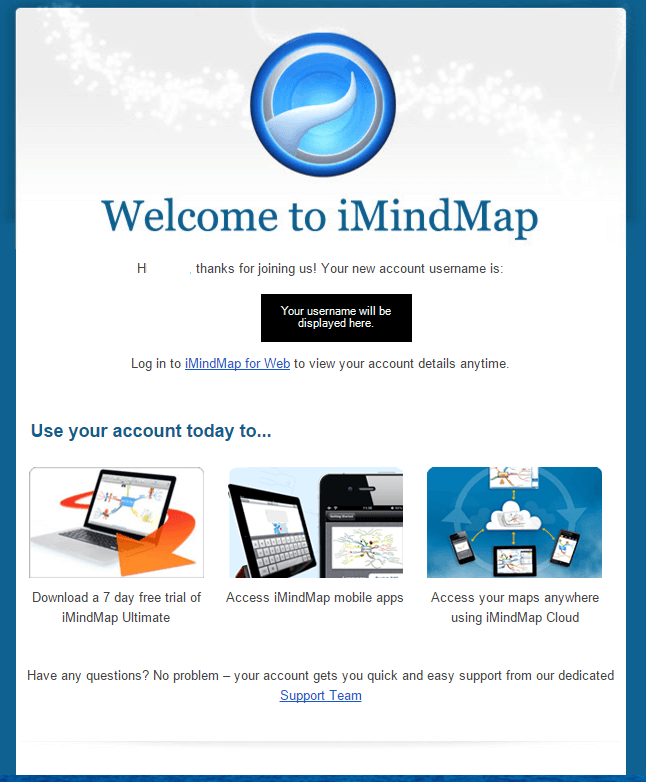 What happens when my iMindMap Cloud subscription ends?